Is Hiring A Dedicated ERP Developer Worth It? A large number of organizations favour most competent technology accessible in the market. Previously, the applications were client driven and were accessible with restricted functionality and also isolated from the other applications. 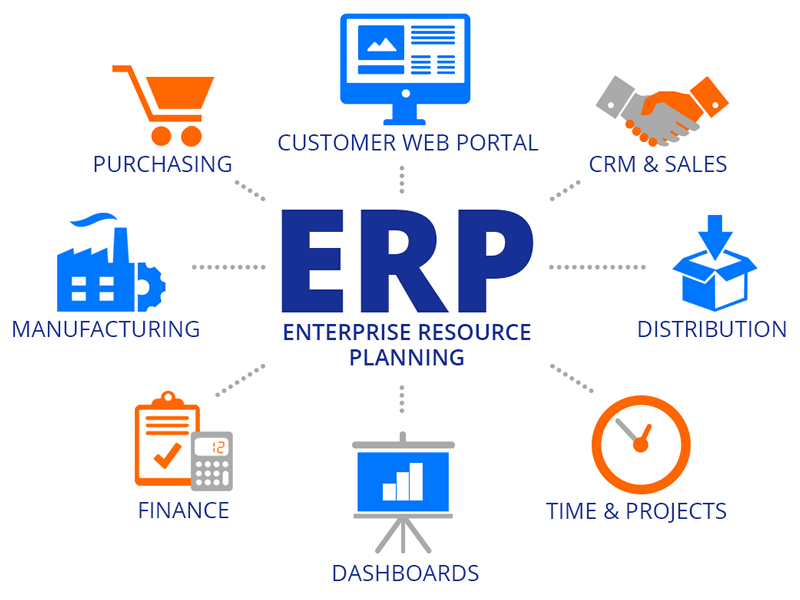 However, today keeping a strong competition in mind, the market has expanded its reach with ERP – a business instrument that aggregates up all the applications necessitated by a company to connect with the other companies. It comprises of newly added functions, such as supply chain management, electronic commerce, warehouse management, data management and others. So, for adopting such a technology effectively, it is essential that your ERP Development Company must hire a dedicated ERP developer. What is the Need to Hire ERP Developer? As ERP technology is new in the market, many ERP Development Companies in India are not aware of its basic technicalities. So, if your company wants to be a strong competitor in the market and want to boost its ERP business you must hire a dedicated ERP developer. These developers investigate whole software development involving the development of modules and its customization. Further, this will help in accomplishing the objective effectively along with proper planning and implementation of a project. A dedicated and well-qualified ERP developer will help with developing seamless software for a specific module. They will assist you with correctly defining the scope of a software together with timeless to go live. You will get to know the basic detailing and working of software by upgrading your technical expertise. If you don’t have any knowledge or idea to execute software, a dedicated team of ERP developers can help you with that. They will assist you in describing your business planning, processes, developing and executing it on software. They will help you with integrated software modules; minimize performance failures of a project and software. Not only this, but they will also help you in setting up your business in the market. ERP frameworks remain crucial in present business setup, particularly on the grounds that they give insightful views into a variety of operations, enabling better and faster decision making. This is why organizations hire dedicated ERP developers to get a lot of benefits by merely adopting such an open approach to advance. ERP system can provide you with everything that can help your company reach new heights. We, at Seasia, have a dedicated team of ERP developers who deliver guaranteed results as according to the client needs. Contact us today for more insights! Marketing is not just a piece of cake that can be done effortlessly and easily. So, it’s possible to do flexible, convenient and yet effective marketing? Well, the answer to this question is yes. Have you ever been on social media? Have you ever seen people promoting their things at this place? Well, you can do this. Social media is a great platform and when you are in the digital field, such as mobile app development, why you are abstaining from indulging in the digital techniques of promoting a mobile app? If you have not already spotted on this platform, it is better late than never. Considering all the things, to prevent the failure of app scenarios, below are a few tricks and tips that you can integrate for mobile app marketing via social media. Social media is a platform where you can connect with various people. With regards to making an online presence, it must be of two kinds; one is your own particular online presence and another one is for your mobile app. Indulge in profound research and discovers your target audience. The main objective behind social media marketing is to upgrade your visibility and draw in more users in the mobile application. Consistent posting will keep you in prospect of audience and it will house a place in their mind.